Roshni has a story with lessons from her every step of life. She even suffered from Writers Cramp yet she completed LLM (Masters in Law) from University of Mumbai. She later on worked as a Legal Executive of Colgate-Palmolive (India) Ltd.
She was expecting promotion in the year 2011 whilst working at Colgate, which she did not get. On requesting for the reason of not getting the promotion, her boss said that she needs to improve her communication skill. For improving the communication skill, she registered herself for three days course of Landmark Forum. Roshni did Advance Course from Landmark Worldwide and she also did the Self Expression and Leadership Program (SELP). While doing SELP, she had to take a project, which is close to her heart and which should benefit her community. Hence to eliminate the problem of Gorkhas’ identity crisis, she started a campaign ‘Run with Roshni’. Through ‘Run with Roshni’, Roshni has been able to reach and inspire many enthusiasts who are ready to share the vision of ‘Run with Roshni’ worldwide. ‘Run with Roshni’ is gradually coming into the highlight and its achievements are spreading like a wildfire in our hills of Darjeeling. Roshni was awarded with Kalimpong Ratna Award in 2013 and Gorkha Gaurav award this year (2015). Roshni has run more than 40 marathons and she has represented India in four International marathons. She has run the Ultimate Human Race, i.e. The Comrades Marathon of 89km in South Africa. Through Run with Roshni project, Roshni has supported more than 30 runners from Darjeeling to run marathons in Mumbai, Hyderabad, Chennai and Cherrapunji since 2012. Runners are performing very good in every marathons and they have become podium finishers in many Marathons. After meeting and surveying few of the people who knows Roshni at Kalimpong, I came to know more and more about her. Roshni is not an individual but she is an institute in herself. She is inspiring more and more youths to run marathons from different places of Darjeeling. All the runners, who have run the marathons with the team ‘Run with Roshni’ has their own version of story to tell the world, stories about their struggles and achievements. Whenever Roshni goes to her native place in Darjeeling, through her power point presentations, she shares the vision of ‘Run with Roshni’ with the students. Roshni has enlightened the people of Darjeeling by introducing us to the world of running. • To empower and enlighten Gorkhas in India. • To eliminate the identity crisis faced by Nepali speaking Indian in their own motherland. • Bringing awareness among Indians, how the Nepali speaking people are Indians. • To bring awareness all over India that Nepali is a recognized language under the Constitution of India and it is one of the languages mentioned in the Indian currency..
• To support strong runners from economically backward class in Darjeeling to run national and international marathons. 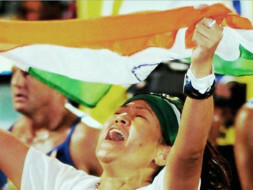 • To make India proud by winning International and Olympic Marathons by the runners from Darjeeling. • To let the world know, who the Gorkhas are by getting media mentions through running and winning marathons. Ups and downs is a part of life but through Roshni’s story, we can inspire youngsters not get stopped by breakdowns in life. Roshni has set up an example by never giving up no matter how hard the struggle was for her. How will the funds be used through Bengaluru Marathon? Though her campaign is a success all over India, most of us are not aware of the struggle Roshni had gone through. It is our effort to tell her stories behind the campaign. In lieu of all these evidences I find her a perfect subject to be documented for the welfare of our students from the hills of Darjeeling. On portraying her stories as a documentary I can assure you that our students will be well prepared to cross the various stages of life without giving up the vision to follow their dreams. Furthermore, our young generations will be motivated and most importantly they will learn how to handle/overcome the hard times that everyone is likely to face in upcoming years, and stand on their own overcoming the battles which have just started. The person that one becomes after their successful and tough approach which in fact shall prepare them to make better judgment not only for their personal choices but also for the society and the environment they live in shall be of the utmost influence of a human character. Alas, I decided to play a little role in this fight for identity by portraying Roshni’s stories to the world. “You don’t need to resist or luxuriate in the path of defiance every time to seek change; change is certain, if only you put your well being into considerations and work through it… it shall matter." 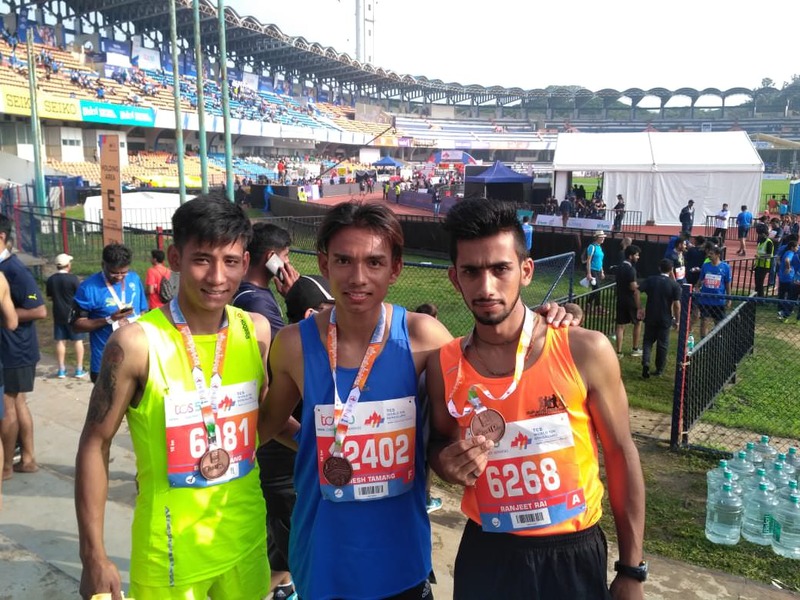 Team Run with Roshni is very proud of Binod Pakhrin Tamang, Ramesh Tamang and Ranjeet Rai, who performed very well in TCS World 10k Bengaluru 2018 today. Binod Tamang is second in his age category. His finish time is 35mins 53sec. Ramesh is 4th and Ranjeet is 7th. We are very thankful to all our supporters, who made it possible for our three runners to go to Bangalore in the last moment to participate in 10km race. Thank you Mr. Vishwanathan Jayaraman for always being there to support us. Thank you Procam International for always supporting us. Special thanks to Kavin Parera and Jayanti Poojari. Thank you Brijesh Gajera for connecting our boys with Simanta, who not only gave shelter to our boys in Bangalore but he gave all the support required for our boys to run 10km race.